The 9 Best Buffets in Oklahoma! Who doesn’t love a little bit of everything? 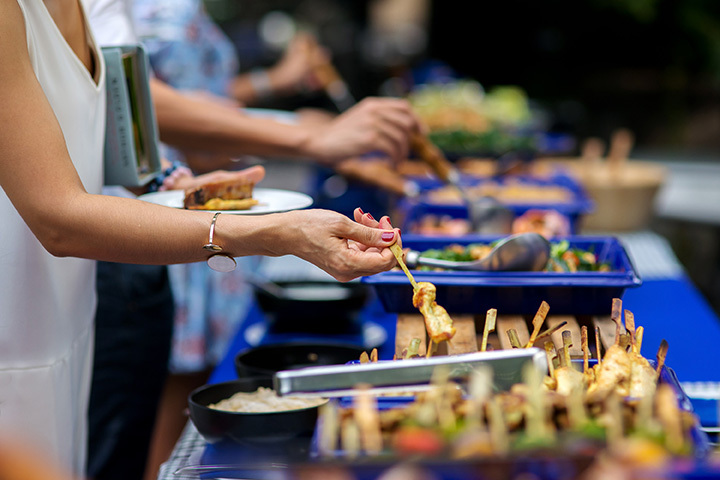 Buffets are the best way to try a variety of foods for a variety of palates, all in one place. From Nepali dishes, to Thai food, to Cajun-inspired fare, here are some of the best and most delicious buffets in Oklahoma! Indian and Nepali cuisines have become quite popular in the metro, and this restaurant offers a lunch buffet that features some of its favorite dishes, like pulao, tikka masala, samosas, naan and salad. Yo. So we know dinner was a couple hours ago but let's face it- this looks awesome and you're hungry again. Go check out Kara F's #ROTD over Mt. Everest Cuisines!! They're open till 10 so get down there to get cha some Indian food!! 📷: Ivy T.
This family-owned restaurant offers home-cooked food at great prices. Although it doesn’t have a lot of options, everything is made in house, just like grandma would cook it. This buffet serves catfish, crawfish and frog legs plus all the southern sides you’d expect on a Louisiana table. Save room for fresh beignets, brought right to your table at the end of your meal. Three words: Cajun King Catfish. This buffet has been around since 1977, serving authentic Thai food without MSG. They use fresh, local produce and stay true to the flavors of Thailand. The staff is friendly and personable, always willing to help you understand the food and make sure your meal is pleasant. All the sushi you can eat? Count us in. This restaurant serves up a buffet of classic and modern dishes along with a full selection of sushi for a great meal. Tulsa World rated this restaurant as one of the best buffets in Tulsa. Restaurants in college towns have to affordable and good, and this place fits the bill. Get northern Indian cuisine for lunch or dinner every day of the week. Diners rave about how the food is delicious and of great quality! This steakhouse has an all-you-can-eat catfish, crawfish, shrimp or frog legs option that comes with sides and is delivered right to your table. This buffet features good, old-fashioned southern favorites, made in-house and served buffet style. Plan to shop in their boutique for special gifts after your meal. This local favorite features catfish, shrimp and chicken on the buffet and a large variety of side dishes. It’s only open Thursday through Saturday from 4 p.m. to 9 p.m., but it’s well worth the trip!